The Solid Wood Two Drawer Vertical File Cabinet is handmade of solid wood. This filing cabinet is styled to provide years of regular use without sacrificing its attractive appearance. It is available in a variety of wood types and stain choices. 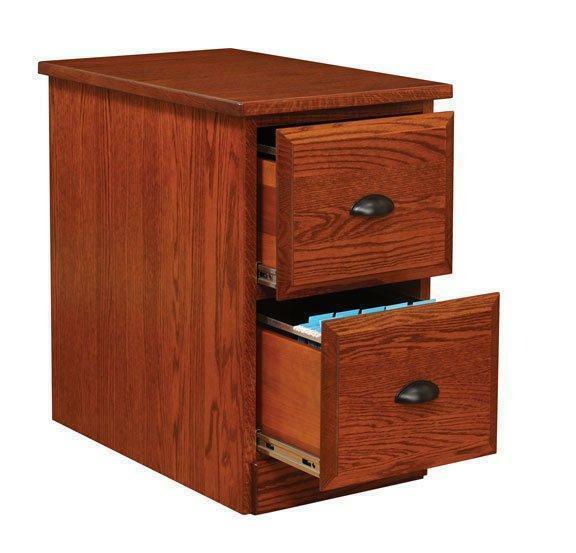 Our filing cabinet has dovetail drawers with full extension slides that have a weight capacity of 100 pounds. The drawer bottoms are solid oak plywood. The sides are flat. This piece is solid wood with a 1" thick frame.